Arguing that the Tintin books' characters are as strong and their plots as complex as any dreamed up by the great novelists, Tom McCarthy asks a simple question: Is Tintin literature? Taking a cue from Tintin himself ? who spends much of his time tracking down illicit radio signals, entering crypts, and decoding puzzles ? McCarthy suggests that we too need to ?tune in” and decode if we want to capture what's going on in Hergé's extraordinarily popular work. What emerges from McCarthy's examination of Tintin is a remarkable story of illegitimacy and deceit, in both Hergé's work and his own family history. 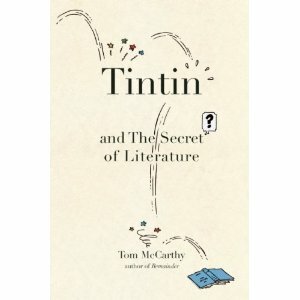 McCarthy's irresistibly clever, tightly constructed book shows how the themes Tintin generates ? expulsion from home, violation of the sacred, the host-guest relationship turned sour, and anxieties around questions of forgery and fakes ? are the same that have fueled and troubled writers from the classical era to the present day.